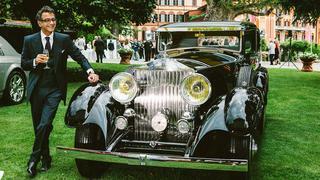 An annual highlight in the luxury events calendar, the Concorso d’Eleganza will once again see some of the world’s finest classic cars gather at Villa d’Este on Lake Como this month. A must-visit for vintage car enthusiasts, this year’s event promises the opportunity to view over one hundred iconic cars built between 1925 and 1976, including numerous Rolls Royce Phantoms (in celebration of the car’s 90th anniversary), a 1936 Lancia Astura 3A Serie, a 1954 Ferrari 250 GT Europa and a 1966 Aston Martin DB5. With a focus on design, originality and high-quality preservation, each car will vie for the highly coveted BMW Group Best of Show trophy. For those who miss out, however, there is still the chance to win the traditional Coppa d’Oro Villa d’Este award, which is voted for via a mixture of audience applause and formalised public voting. This year will also mark the 13th anniversary of the Concept Car award. 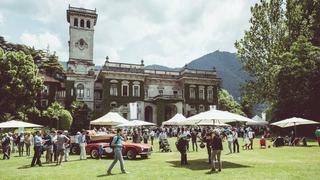 Introduced to create a link between the vehicles of the past and future and celebrate the heritage of the Concorso as a place where manufacturers would unveil their new designs and prototypes, 10-12 concepts will be proposed with a winner chosen by public vote and announced at Villa Erba on Sunday. The Concorso d’Eleganza’s long-standing relationship with BMW has also led to the curation of a special exhibition, 40 Years of BMW Art Cars, which will pop-up at this year’s show. The exhibition examines the car manufacturer’s projects with world-famous artists, beginning with Alexander Cader in 1975 and featuring names including Roy Lichenstein and Frank Stella, who all put their touch on BMW’s signature racing cars. For those who prefer their vehicles with two wheels, the Concorso also attracts an impressive array of vintage motorcycles. 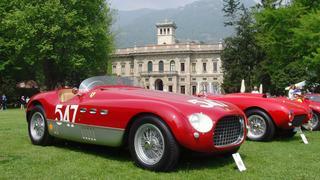 This year’s highlights include a 1914 Harley-Davidson Model 10-E, a 1926 Bianchi 175 Sport and a 1974 Healey 1000/4. Visitors to the motorcycle arena will also have the chance to chat to private collectors and take part in lively discussions on a variety of bike-related topics. For those looking to expand their own collection, however, the stand out event will undoubtedly be the exclusive auction taking place in the grounds of the Villa Erba. Key lots include a 1961 250 GT SWB California Spider, one of only 16 every produced and with a guide price of €11-13 million, a Lamborghini Miura and a Mercedes 300 SL Roadster.